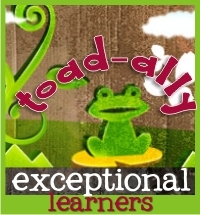 This is Alison Whiteley from Toad-ally Exceptional with a freebie and some ideas for your Daily 5 word work groups. One of the hardest things to do as a Special Education teacher is help teachers create meaningful word work for students who are struggling with spelling and seeing patterns. I have created a freebie that helps tackle “or” pattered words for you to use with these kidoos.